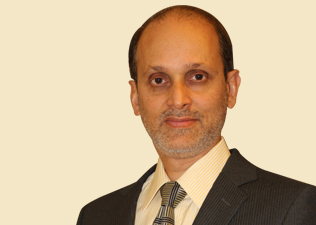 Pravin Kini has over 29 years of experience in Marketing and General Management. Pravin is a Science graduate from Mumbai University and has a Masters in Management Studies from Mumbai University. After his post-graduation, he did a brief stint of 1 ½ years with JB Pharmaceuticals in Mumbai. Pravin then worked for 5 years in J L Morrison where he worked briefly as Regional Sales Manager (West) and later for 4 years as Brand Manager for NIVEA in India. He later did a stint of 18 years with Reckitt Benckiser (formerly Reckitt & Colman) and has worked in India, UK, Africa and Thailand. Starting as a Brand Manager for Dettol in India he moved to UK as a Category Manager for Antiseptics and Cold Flu categories. Pravin moved internationally for 12 years in Reckitt Benckiser and headed the marketing function as Marketing Director for several countries including in Central Africa and Thailand. He has managed the FMCG and the OTC businesses within Reckitt Benckiser. Pravin joined as CEO for Sutures India Pvt Ltd (SIPL) in 2011, a USD 30 million, medical devices company based out of Bangalore. SIPL is the largest Indian player in the Sutures market with a significant international business. In 2014 Pravin ventured out on his own has since been a consultant in the area of marketing and business strategy. Pravin Kini is based in Pune and is a Senior Advisor with YFactor.